If you've ever had a medical emergency in your home, you might recognize the importance of having medical information on hand and ready. Where should you keep this important information? Do paramedics and EMTs really look in a patient's refrigerator or cell phone to find medical information? Whether its on your fridge, in your wallet,on the door, or on your phone, let's talk about what medical information is needed if you ever have a medical emergency. So where do paramedics and EMTs usually look for information when they enter your home? Let's look at the places emergency responders may think to look and then talk about the options you have. Some people wear medical alert bracelets or necklaces with their medical information easy to access. You may be familiar with MedicAlert though there are several different brands. This jewelry gives responders quick information on your allergies, medical conditions, and even code status. Some are also connected to databases that store further information. Not everyone likes to wear jewelry, however, and even those who do may forget to keep their bracelet on their arm. According to many emergency responders, medical information on a medical bracelet should be limited to just a few things. First on the list is any medical condition which could kill you or make you unconscious. Second would be a "do not resuscitate" order if you have one. If you have chosen to be DNR, you should have something on your person or nearby and easily accessible stating that you are DNR (this needs to be signed by your doctor.) Otherwise, the EMT's or paramedics will begin CPR. They won't take the time (and don't have the time) to look anywhere else. Other information that would be helpful is whether or not you have a seizure disorder. Allergies such as those which can cause anaphylaxis (for example, bees) should be on there. Mild allergies generally aren't as important, and considering these could waste valuable time in an emergency. You should list any heart medications you are taking, but a drug to control your cholesterol probably isn't necessary. There is no universal training for EMTs and paramedics to check in the refrigerator for information. Why would we? People with diabetes are often unable to talk by the time the EMT's arrive. Either a very high or a very low blood sugar can lead to confusion and unconsciousness. Checking the fridge is a quick way to see if a person who is confused is indeed a diabetic since insulin bottles should be kept cold. If there was a bottle of medication prominently displayed in the refrigerator, we may see it—but, then again, we may not. There is a program called Vial of Life that provides people with a form to fill out with medical information. A sticker is then placed on the front door to alert responders to the presence of the "vial" in the fridge. 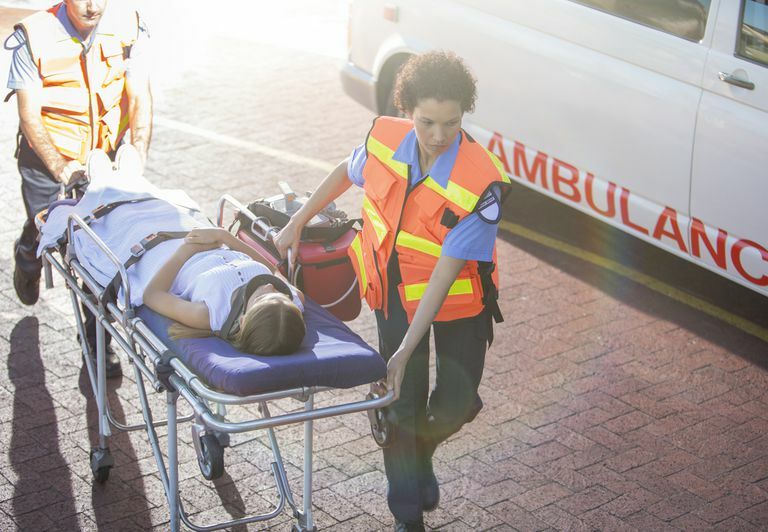 In areas where the program is utilized by ambulance agencies or fire departments, the vial can be a good way to get information to rescuers if a person is unable to talk. Wallet cards can be one good place to keep your medical information but are the not the first place most emergency responders look. These are most helpful for medical professionals after you arrive in the emergency room, so it's good to have your information elsewhere as well. Emergency responders may or may not look at your cell phone. As with wallet cards, these will probably be brought to the hospital (if it is found near you) but may not be looked at until you get there. ICE stands for “In Case of Emergency.” It was developed by a British paramedic who thought that having a contact in your cell phone clearly identified for emergencies would be a great way for emergency responders to gain information. The idea is good on the surface, but again, there is no universal training to check cell phones for contacts during a medical emergency. We have ICE entries on our cell phones, like many others, but don't know if emergency responders would ever look for it. That said, it's free and may help in an emergency. To create one of your own, put "ICE" next to a contact’s name in your cell phone. It may, for instance, says “ICE – Wife” before your wife’s name (no jokes as to the way that reads.) This entry helps responders who might look for an emergency contact know they were calling your ICE contact and that the contact is your wife. Many EMT's and paramedics will tell you that they have never looked at a cell phone to find contact information during an emergency. If the cell phone does make it to the hospital, a health professional in the emergency room would be more likely to dig through it for phone numbers. In recent years some people have taken to having medical tattoos instead of wearing a medical alert bracelet or necklace. While tattoos aren't likely to be left off of your person in an emergency, EMTs and paramedics don't ordinarily look for tattoos. A tattoo isn't likely to save your life, or conversely, keep paramedics from performing CPR if you are DNR. Paramedics and EMTs are trained to do as much investigating as possible to figure out what is wrong with a patient. Though there’s no way to guarantee we’ll find the information left for us, there are some standards that we are used to seeing. Having some basic personal information on hand for EMTs or paramedics is important, but there isn't a set location on where to keep this. Since emergencies are, by definition, a state of controlled chaos, your best bet is probably having your medical information in a few places, such as on your front door and on your person. Access to medical information is highly stressed, but there are actually only a few things emergency responders really need to begin working on you. These essentially include information on whether you have a life-threatening condition, information on whether you have a condition that could appear life-threatening but is not (such as epilepsy) and information (signed by your doctor) that you are DNR if you have chosen this approach.